Entering Kew Gardens in London, the first sight that hit me was the iconic Victorian Palm House, looking like a half-buried, upside-down transparent Zeppelin. 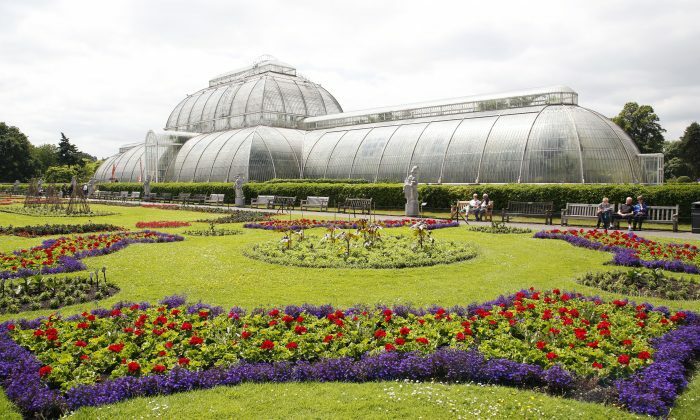 Made from glass and iron, it was designed by Decimus Burton and engineered by Richard Tanner to accommodate the exotic palms being collected and introduced to Europe in early Victorian times. 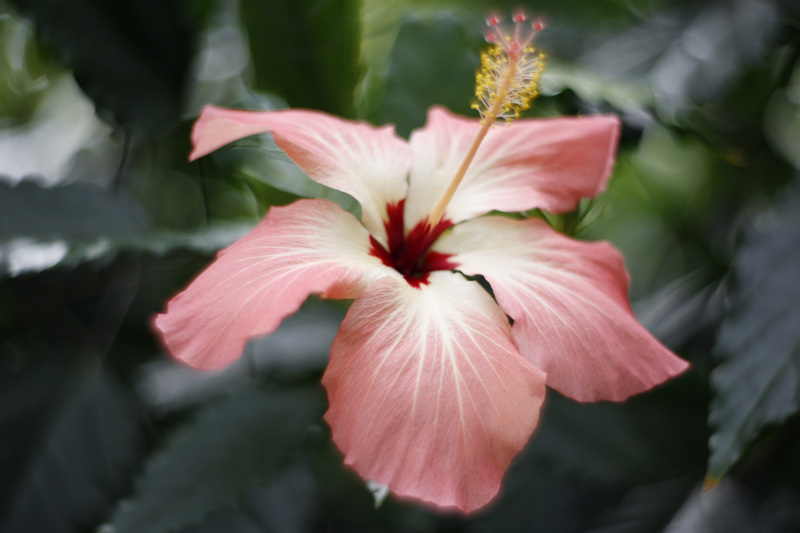 Walking inside the Palm House, the overwhelming tropical heat hit my lungs and instantly fogged up my camera lens. 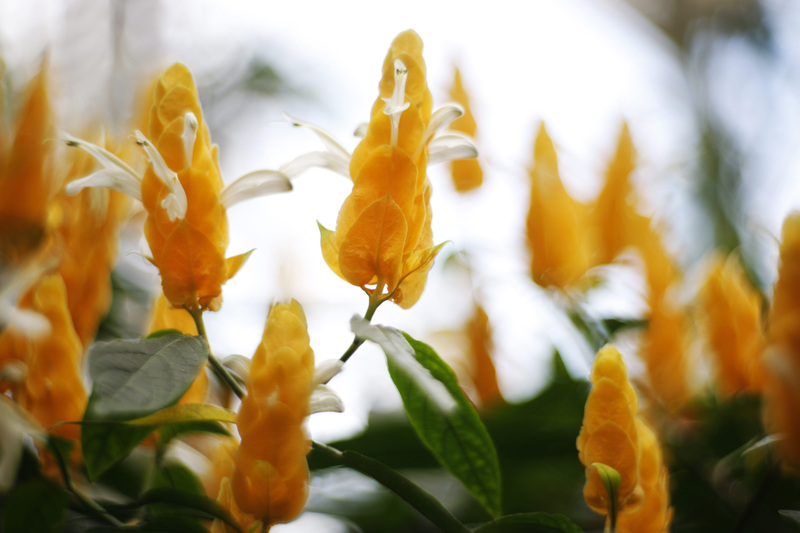 While exploring the botanical delights, I came across the enigmatic subtropical Lollipop Plant (Pachystachys lutea) It has brightly coloured orange leaves and dainty pale white petals sprouting out like tiny wings. 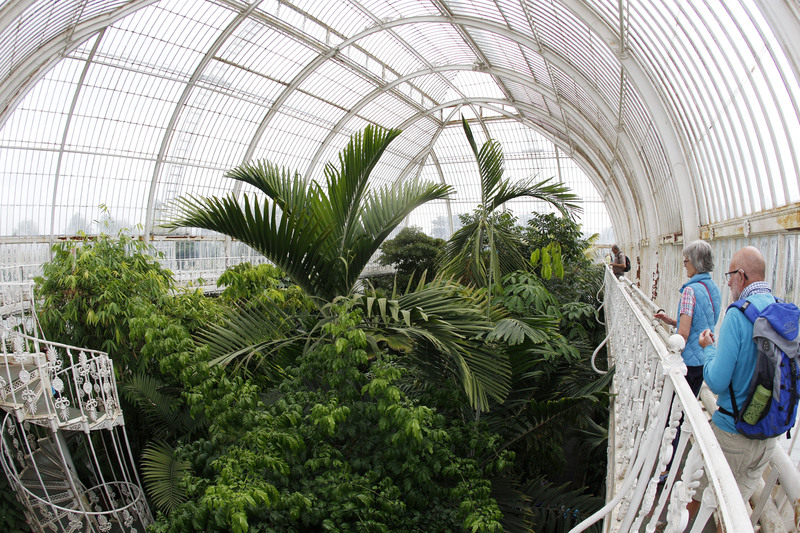 The majority of the plants inside the Palm House are dug into beds to form a miniature tropical rainforest. Today, the tallest palms that need the most room are located beneath the central dome. These include the peach palm (Bactris gasipaes), babassu (Attalea speciosa), queen palm (Syagrus romanzoffiana), and the coconut palm (Cocos nucifera). 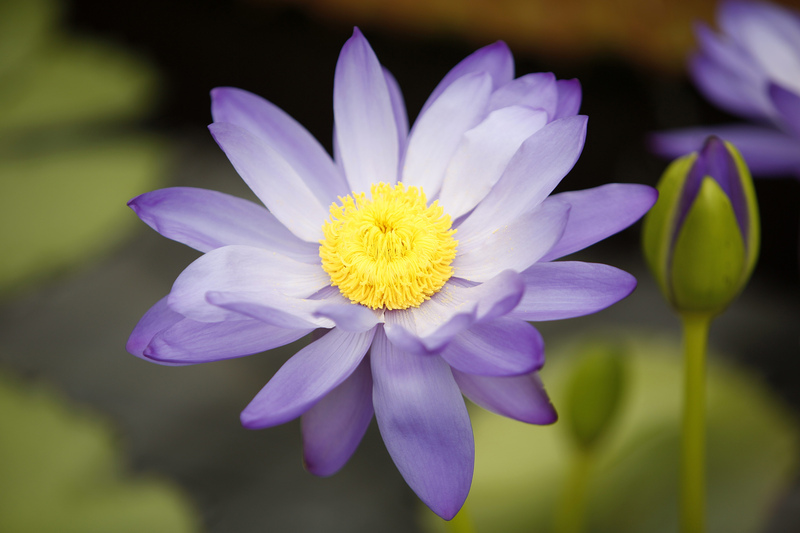 Throughout the day I kept coming back to the Waterlily House, built in 1852. 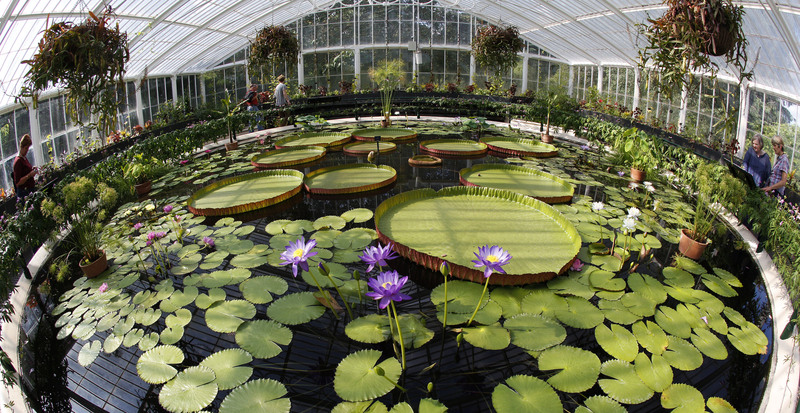 It’s a warm, peaceful sanctuary filled with giant Victoria cruziana waterlily plants, named after Queen Victoria and originally from the Amazon. I was told these floating bright green discs could support a small child. Underneath the leaves of the V.cruziana there are protruding ribs, which trap air keeping them buoyant. 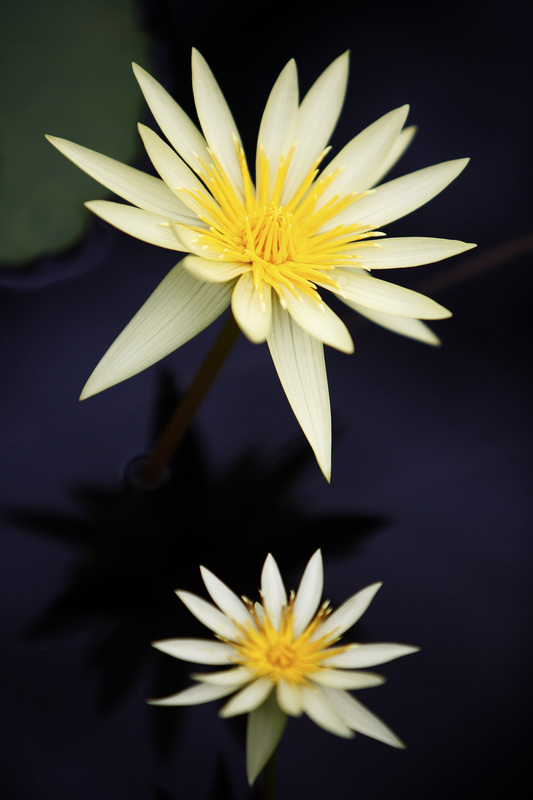 The wonderful variety of sweet-smelling waterlily flowers on the surface of the 36-foot pond only last for 48 hours. 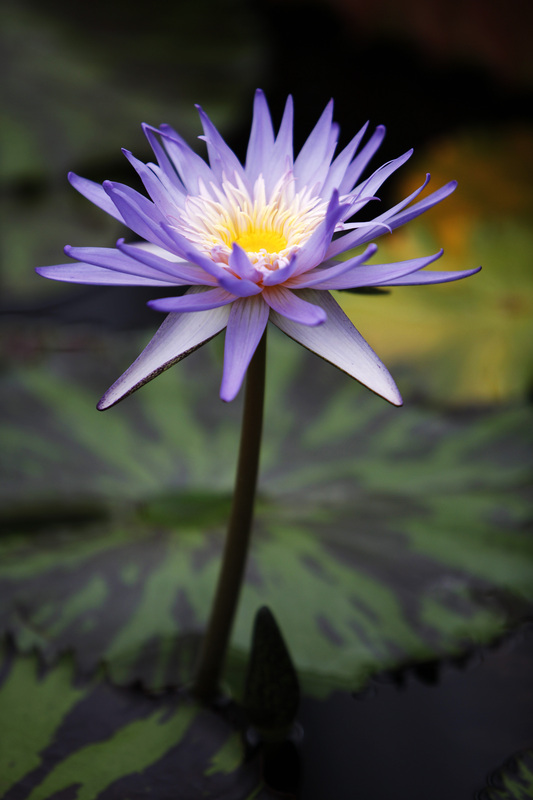 They start out white then darken to pink and purple before disappearing underwater – short-lived but majestic life. Encircling the Palm House lies Kew Gardens’ famous Rose Garden. 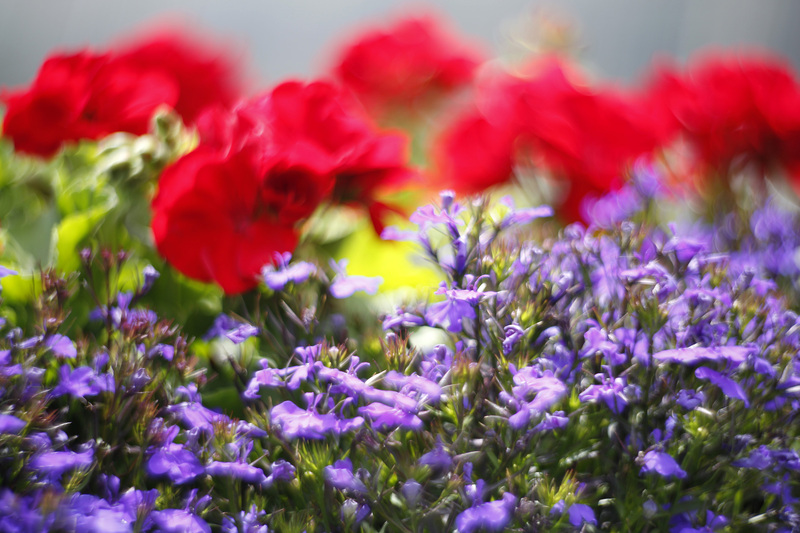 Here I watched a bee climbing petals to collect the sweet nectar and pollen from the vivacious rose. Kew Gardens is spread across a vast area. 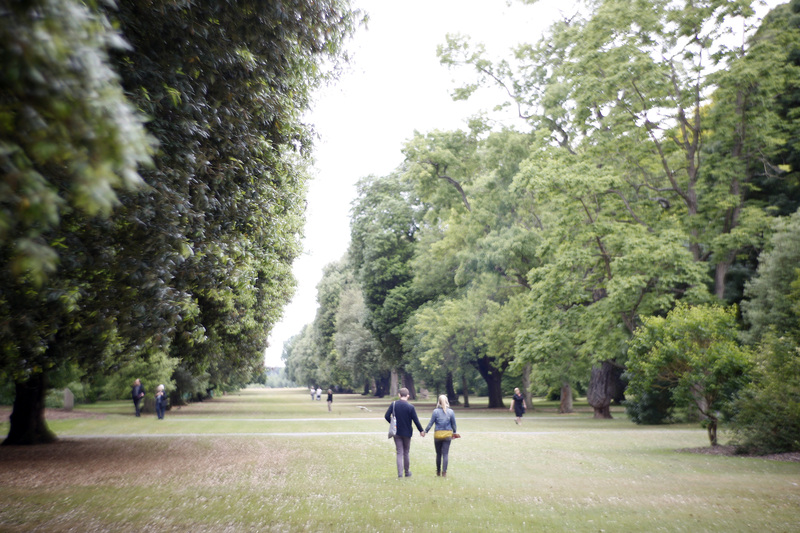 To explore the 132 hectares of landscaped gardens, I would need a number of visits. I look forward to going back. 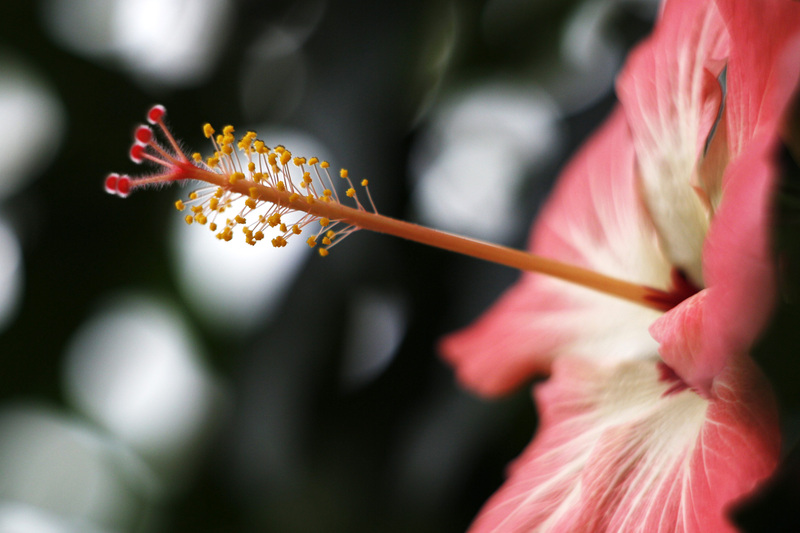 Kew Gardens is open daily from 10 a.m., closed Christmas Eve and Christmas Day. The Temperate House is closed until 2018 for restoration.